Rayona Sharpnack brings passion, business experience, prodigious energy, and humor to every keynote she gives. She can awaken and enliven an audience like no one else, while educating them on issues that stand in their way of leadership, breakthrough change, and Gender Partnership. A natural storyteller, Sharpnack has keynoted over 100 conferences held at venues as various as Harvard, Oracle, Freddie Mac, Canadian and Australian government agencies, Diversity Best Practices, National Association of Female Executives, and Healthcare Businesswomen’s Association. NOTE: Our custom-designed ribbons (left) and buttons (above right) may be ordered for attendees of all Rayona’s keynote events. "Trust is absolutely fundamental to getting anything done. And in organizations, it's one of the biggest issues that people don't talk about, but that impedes progress." "All our work at IWL is based on enabling breakthrough change, rather than incremental change. 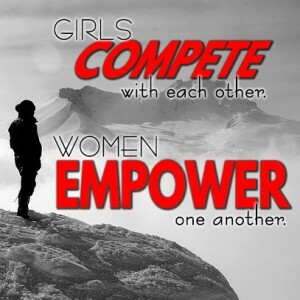 We can't just be satisfied with women crawling up the ladder one by one, and saying, 'Well, we got one more woman to the top, working side by side with men.' Give me a break! “We've got millions of transistors on a little piece of silicon you can barely even see. We've got people living on a space station in the distant sky. There's absolutely no reason we can't achieve breakthroughs in the work of Gender Partnership." "We have a love-hate relationship with success and failure – that is, we love success and we hate failure. We have almost no tolerance for it. But the only way to learn is through failure. That's another one of those 'aha' moments: when you realize people work in organizations that religiously try to reduce the risk of failure, when the only way to grow is through experimentation, practice, and risk."